This is a question which seems to plague the mind of almost every homeowner out there. Some people might think that it’s a pretty innocent question yet there’s more to it than meets the eye. This is because with so many things becoming important in life, mundane and boring household chores seem to take a backseat. However, cleanliness and hygiene is also something which is the topmost priority of everyone at home. So, in that case, many would be left wondering if hiring a professional cleaning service would be worth their money or not. Since everything seems to be running on a budget, you would need to make sure that this is something which is worth your while. 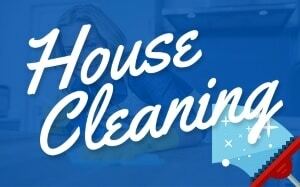 When hiring a professional house cleaning service, you’d be curious to find out some benefits. The advantages that they would be able to provide you with. However, with your responsibilities and other work mounting with every passing day, the idea of hiring a professional maid cleaning service would sound all the more tempting. Read on below to find out how this decision could benefit you and your home. 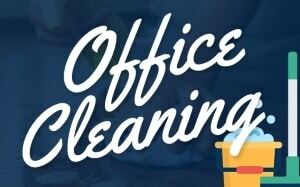 The primary benefit that you would be able to get from hiring a maid service is that you would be able to get your cleaning done whenever you want. This is opposed to the fact if you were planning on getting the cleaning done on your own. You’d be able to tell them about the designated times and days that you’d like to have in your house. Try discussing it with the company. Once that is out of the way, you would have nothing to worry about. Just like you, the professional cleaning service would also be caring for your home. To uphold that promise and commitment, they would be implementing the best tools and technique. This is to make sure that the job gets done correctly. In that way, you would be relieved of the responsibility of purchasing tons of different kinds of tools and equipment to clean your home. Also, they would also have a pretty good idea of what needs to be done. They also have a sense that the damage would be close to zero. 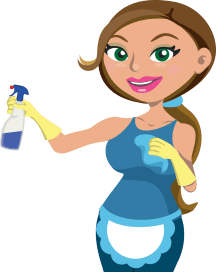 As a result of hiring a professional maid cleaning service, it would undoubtedly free up a big chunk of your precious time. In other words, this is something which would come as a big sigh of relief to all the homeowners out there. This is because with life becoming increasingly busy and occupied, it can become quite challenging to get out some free time for yourself and your family members. Thanks to a professional cleaning service taking care of this matter. You would no longer have to worry about compromising other things just to make time. Like many of the other people around you, it would be safe to assume that majority of your time seems to take up by household work and looking after your family. So, in this way, it might become quite difficult to look after your health. In fact, it would be the last thing that would be cropping up in your mind. But, thanks to maid cleaning services. It would allow you more time to look after your health and well-being. This is because since such a significant chunk of your responsibility would now be taken from your dainty shoulders. You might not feel exhausted at the end of the day. The whole point of hiring a professional service of any kind is that they would continue giving the same type of result over an extended period. In other words, you would be looking for consistency. That is again something which you would be able to benefit from hiring a professional home cleaning service. Their main priority seems to be keeping their clients happy. They make it a point to not compromise on quality under any circumstance. Regardless of the situation, you will know that your home would always be spick and span. In this way, you would also not need to worry about entertaining unscheduled or uninvited guests. 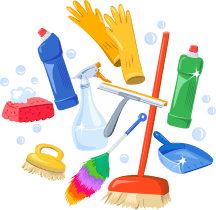 After reading all the professional maid cleaning service benefits can provide, you can understand that the answer to your question points towards a positive. In other words, this would be something which you would not regret any time soon.